Hitchcock Woods encompasses approximately 2,100 acres of undeveloped woodlands – an area two-and-a-half times bigger than New York’s Central Park. The forest is owned and operated by the Hitchcock Woods Foundation for recreational use and enjoyment. 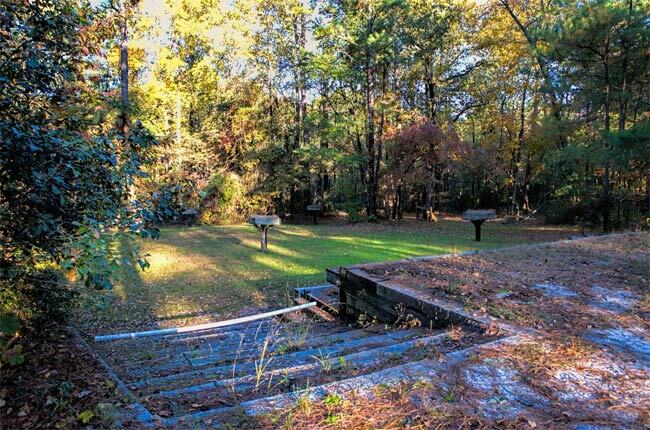 Its pristine habitat serves as an oasis of natural beauty within the urban area of Aiken. Thomas Hitchcock and William C. Whitney were prominent Northern businessmen who wintered in Aiken during the late nineteenth century and are responsible for the creation of Hitchcock Woods. Along with Hitchcock’s brother, Francis, they purchased 8,000 acres of land to use for equestrian sports, claiming the sandy soil was ideal for horse training. Hitchcock and his wife, Louise, held countless sporting events on the trails they developed here. 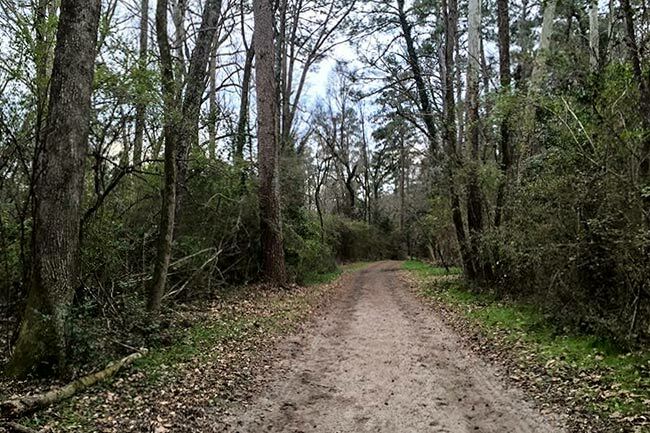 Following Louise’s death from a riding injury in 1934, Thomas “Tommy” Hitchcock, Jr., and his sister, Helen Hitchcock Clark, created the Hitchcock Foundation in 1939 so that all residents of Aiken could enjoy the forest. The first gift to the foundation was by Tommy Hitchcock, who donated 1,191 acres of the woods so beloved by his parents and their friends. 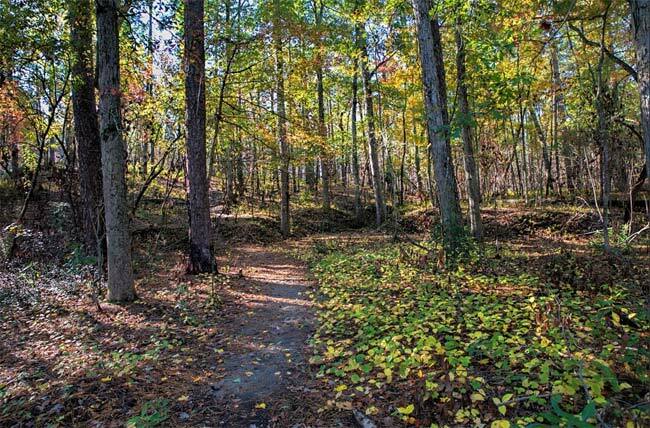 Over time, the foundation acquired more land through purchases and donations, and the present total acreage of 2,100 makes Hitchcock Woods one of the largest urban forests in the United States, if not the largest. There are many points of interest within Hitchcock Woods. Pictured at the top of the page is Memorial Gate, which was dedicated in memory of Thomas Hitchcock’s brother, Francis, in 1929. 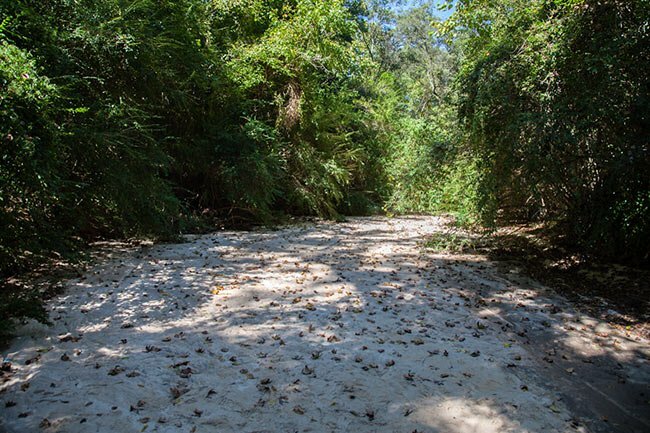 Along with its winding trails, other landmarks to see within Hitchcock Woods include an unusual riverbed of sand that is the source of much folklore, old Hitchcock family cottages, Barton’s Pond, and Bebbington Springs, which is covered with a wide variety of beautiful flora. Black Gum Pond is pictured below. The Tea Cottage site, seen below, remains an archaeological fascination. The cottage was built by Celestine Eustis, aunt of Louise Hitchcock, in the 1920s and welcomed riders to tea following a long day’s hunt. It burned once and was rebuilt, only to burn a second time in the 1970s – this time at the hands of arsonists. The cottage was not rebuilt after the second fire. The foundation remains at the site, along with the “fire boards on top of posts,” where many guests were entertained at other events held here by the Hitchcocks. Today the site continues to be used for parties and other gatherings. One of the foundation’s purposes is to preserve the ecology of Hitchcock Woods’ storied forests. Thus, regular prescribed burns take place here to create an ecosystem hospitable to a longleaf pine stand’s natural conditions. Fire suppression and the clearing of longleaf stands for agricultural purposes are but two factors that have contributed to the sharp decline of longleaf pine, and the burns clear the land so that seeds dropped during the fall can efficiently absorb nutrients provided by the remaining ash. An interesting feature of Hitchcock Woods are the chalk cliffs, seen below. 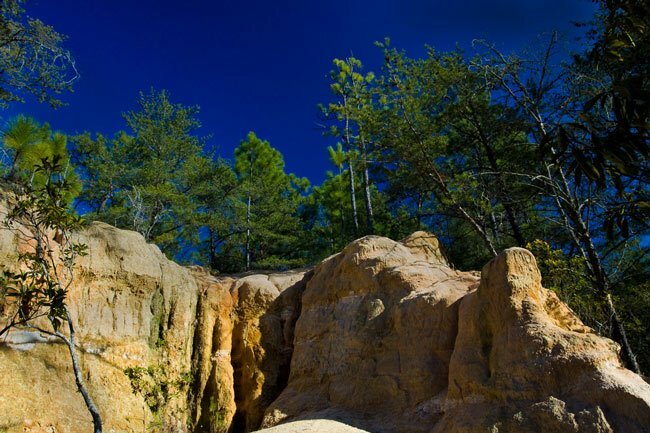 The cliffs are the result of natural erosion of the aforementioned sandy soil, which is also rich in kaolin. 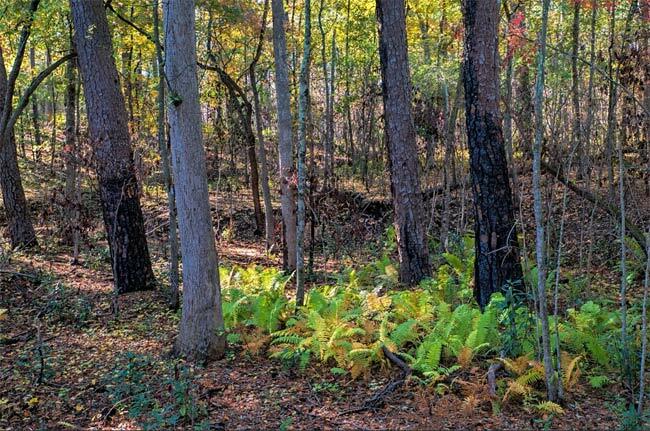 The soil provides habitat for trees not usually found in this part of the state such as Virginia pine (Pinus virginiana) and mountain laurel (Kalmia latifolia). Hitchcock Woods is also the home of the popular Aiken Horse Show, begun in 1916 by Thomas and Louise Hitchcock. Though other annual events are hosted here, such as the Festival of the Woods, the Aiken Horse Show remains Hitchcock Woods’ signature event. Guests may visit the woods, however, any time – no event is necessary to walk amongst its towering pines. Admission is free, thanks to generous donations to the Hitchcock Woods Foundation. To reach Hitchcock Woods from downtown Aiken, drive down South Boundary Avenue west until the pavement ends. Then go all the way to the end of the road. You will see a parking area. 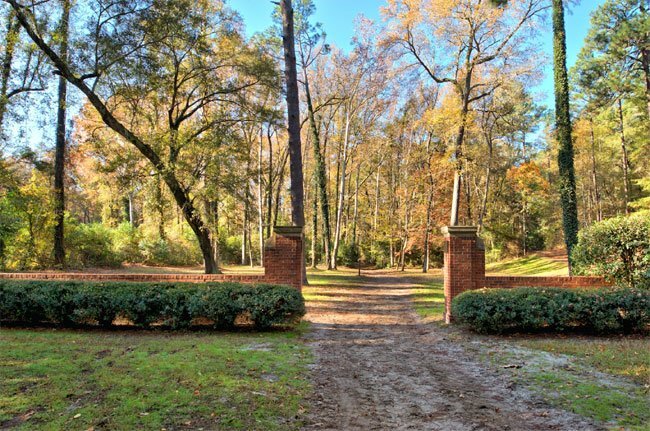 Aiken Winter Colony Historic District I is significant as the area in Aiken most closely associated with the Winter Colony and the horse industry. The district contains many of the properties most important in the history of the Winter Colony including sophisticated residences constructed by Winter Colonists between ca. 1900 and ca. 1930, the Whitney Polo Field, established in 1882, and the Palmetto Golf Course, begun in 1892. 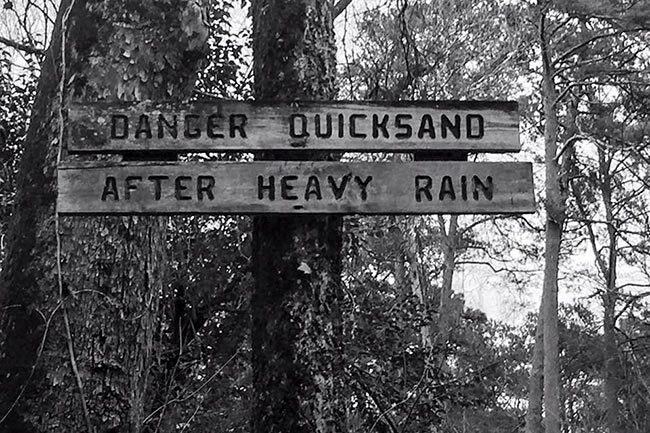 Also included is Hitchcock Woods, developed around the turn of the century for riding and fox and drag hunting. Many of the properties in the district are associated with key figures in the development of the Winter Colony. The district consists of approximately thirty-five properties constructed between ca. 1882 and ca. 1948, which includes residences, outbuildings, golf courses, school buildings, and equestrian sporting facilities. The area is characterized by tree-lined streets and unpaved roads, large mansions with outbuildings and expansive lawns, and stables. Primary architectural stylistic influences include the Colonial Revival, Classical Revival, and Queen Anne. 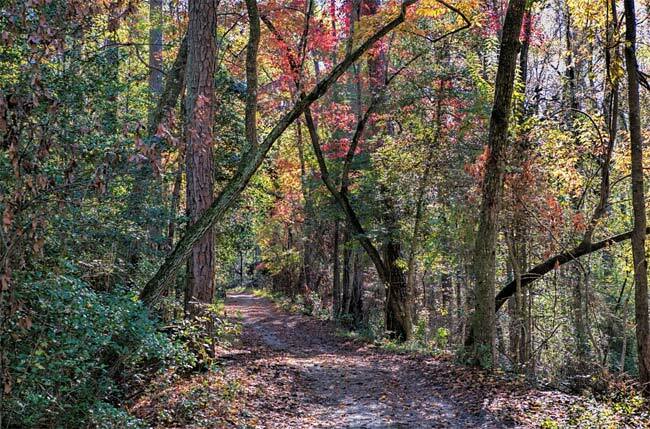 Just outside of downtown Aiken, South Carolina lies one of the largest urban forests in the United States, a 2,100-acre tract of land maintained by the Hitchcock Foundation for public use. 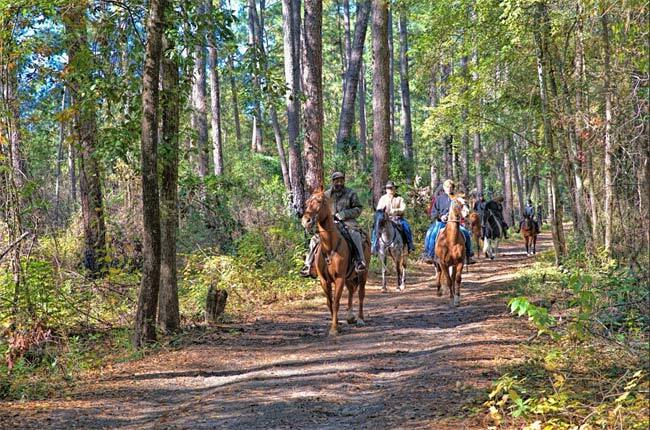 The many hiking and horseback trails here can provide for hours of fun exploring the interesting terrain. 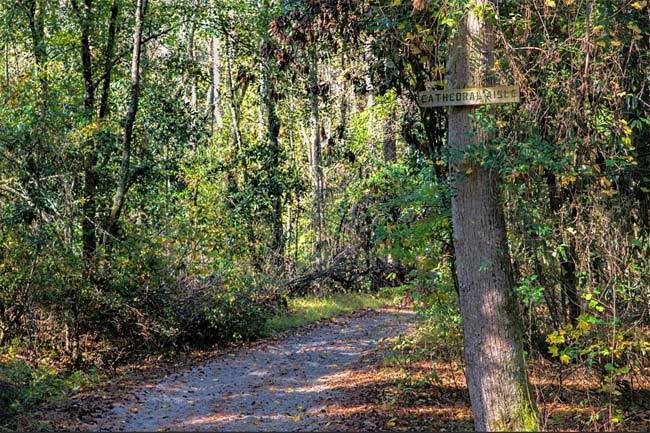 The Cathedral Aisle Trail, which was originally a part of the South Carolina Canal and Railroad Company, became America’s first rail-trail in 1939. Hitchcock Woods – 2015 photos urban landscape must visit. I love Hitchcock Woods and was born in Aiken, and will retire on family farm on Goodsprings Road.